When i’m not using my phone, it means i’m in front of my computer ? ! And of course i want Hello Kitty everywhere ! Especially when i use the browser and i only use Chrome now ! 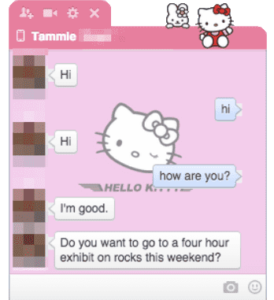 I think it’s the best and fast browser, but it’s better in pink and Hello Kitty of course ! 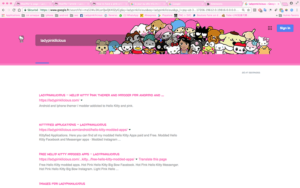 -Firstly, you can find some Hello Kitty themes on Chrome Web Store and on ThemeBeta ! They personnalize the menu toolbar, navbar, applications window and when you open your Chrome browser. 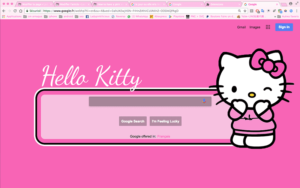 Hello Kitty Tribute New Tab : It customizes your New Tab page with random Hello Kitty wallpapers. It’s cute but i don’t use it. -Secondly, when i’m done with a site, i don’t like opening a new tab, or manually write an URL, i just like pressing the home button ! But it comes back to the default Google. So, the best way to change it, is using Stylish that is also compatible with Firefox. This plugin is the best to theme cause possibilities are endless and you can theme every website ! To install new theme on it, just click on your stylish icon, and create new style. 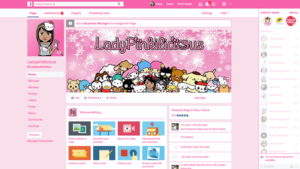 But if you’re lazy to theme your facebook with Stylish, there is also some other plugin available on Chrome Web Store. Keep in mind that the themes are only visible to you as someone who has the extension installed. It does not change the look of your Facebook profile for your other friends. Endly, if you’re sick of the default font of Google Chrome, just try this plugin : Font Force Custom. 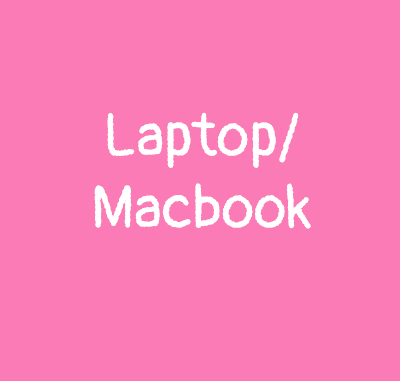 It changes the font of every website by the one you want !